In Maslow’s hierarchy, food, shelter and clothing are the most basic needs, after which might come more aspirational items like high cuisine, decoration and fashion to name a few. All of mankind, it would seem, operates universally in this way – striving towards higher-order goals only when a prior need has been satisfied. Except this model fails to consider cultural differences. How can it be, that in some third world countries, people deprive themselves of food to buy items which enhance their social class, for example? The hierarchy of priorities is quite different in an Asian context, where interpersonal relationships and social interactions are more valued, on average, than individual self-actualization needs. In the Asian context, the need for self-actualization is replaced by social needs of status, admiration and affiliation. Autonomy and independence are not as important or at least do not have the same connotations as in the West. It should be noted, of course, that these are generalizations. What is described are the most fundamental and extreme behavioural differences that Western marketers must be aware of as a starting point for understanding the average Asian consumer. As each region of Asia develops at a different rate, they slowly adopt many characteristics of Western consumers. No matter how much change towards Western consumerism, cultural consumers always retain unique elements of their home cultures and remain immune to some Western influences. Complicating matters further, Asia is not a homogenous region. Each country will have noticeably different preferences than even its closes neighbour despite major similarities. 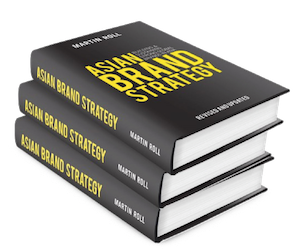 What this analysis aims to do, is explore the grand themes which make Asian consumerism different than in countries where the majority of world’s most successful brands originate. Understanding, the basic factors that pull against the Asian consumer is vital for global brands. In many Asian cultures, people believe in the fundamental connectedness or interdependence of individuals within the same in-group. These traits are sometimes also described as Confucian values, which places a great deal of emphasis on social stability through mutual obligations and the central importance of the family. In collectivist cultures like the Asian ones, self-worth is often derived from social respect, the pursuit of harmony, dignity avoidance of conflict. The importance of the in-group does not mean total social conformity, though. L’Oreal’s large sales of hair dyes in Japan testify to the importance of being different. The importance of luxury brands in Asia shows consumers trying to differentiate themselves from other members of society through iconic brands such as Giorgio Armani, Chanel, Louis Vuitton or Gucci. A large portion of nearly every major luxury brand’s turnover comes from Asia. The differences between Western and Asian cultures are not black and white. It would be too simplistic to label all Asian cultures collectivist and Western cultures to be all individualist. While there is a tendency across the region to engage in socially engaging behaviour, the form of this behaviour varies greatly. There are vast differences in the way the interdependent self is expressed from country to country. For example, the Japanese view of the self is evident in everyday episodes where Japanese emphasize the notion of “losing face”, acting on the basis of these others’ expectations and needs, blurring the distinction between self and others. In contrast, Indians’ in-group is limited to their family and their ethnic community. With 18 official languages, drastic regional differences, religious feuds and extreme social class disparities, the ability for Indians to empathize with others becomes limited at best. Instead, in India the interdependent self means enduring loyalty and sense of belonging to a community defined by caste, language, geographic origin and social class. What constitutes the Indian in-group is very different from the Japanese. Overall, though, it is important for marketers to realize the importance of the in-group for consumers who will seek advice, think of products and evaluate products within an in-group. There is an important caveat to this analysis though and it has to do with the dynamism of the region. Societies in Asia are moving fast and the dimensions described above are not set in stone. Asian countries are increasingly connected to other countries within and beyond Asia. These connections only enhance and increase the rapidity of the Asian evolution. What remains, though, are these connections between different countries. Contrary to popular thinking, the biggest Asian companies do most of their business in Asia. To become astute marketers and understand Asian consumers, the corporate management of companies will first have to look at Asia as a distinctly different mode, then dig even deeper to understand more regional subtleties. Companies striving to build successful brands in Asia should understand the unique mosaic of cultures that Asia is. The region represents a blend of modernity and traditionalism – a doubled edged sword for companies seeking to develop brands in Asia. On one hand, this presents a huge set of opportunities with diverse customer segments, latent rural demand, and an immense potential to weave exciting new stories. But on the other, it compels companies to find a fine balance between varied themes to become local and regional at the same time. Fine-tuning products and services to satisfy local tastes and preferences while also appealing to a pan Asian identity by leveraging common underlying cultural underpinnings is the only way ahead for Western global brands in Asia.